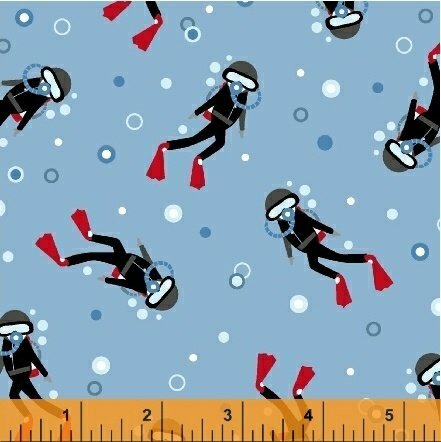 A new collection by Whistler Studios, this underwater themed collection is perfect for the aquatic adventurer in your life. 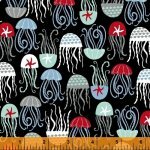 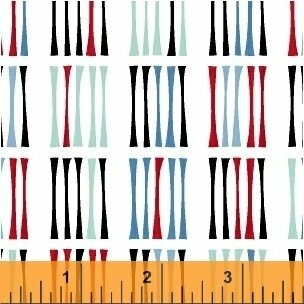 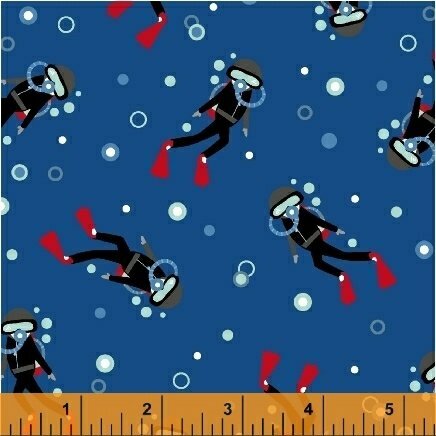 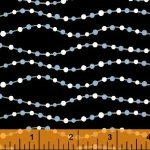 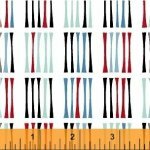 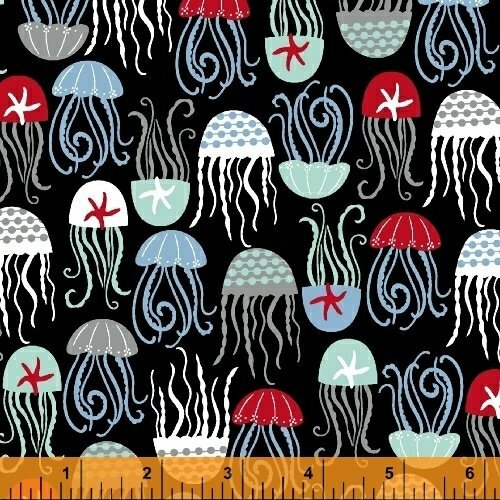 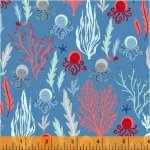 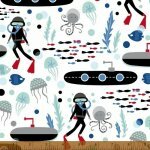 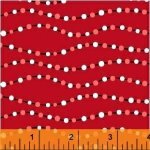 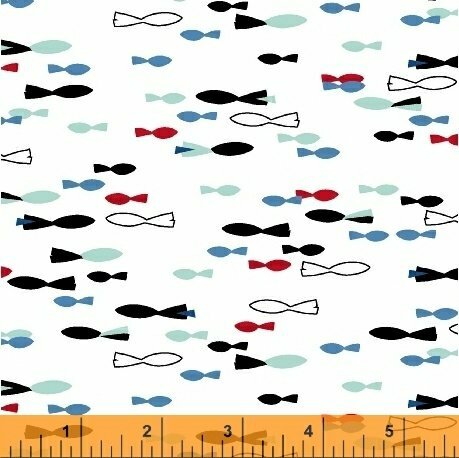 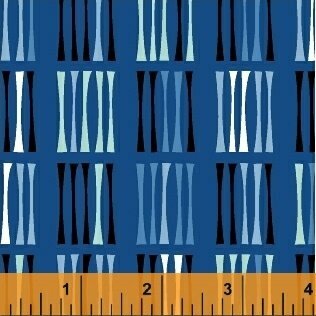 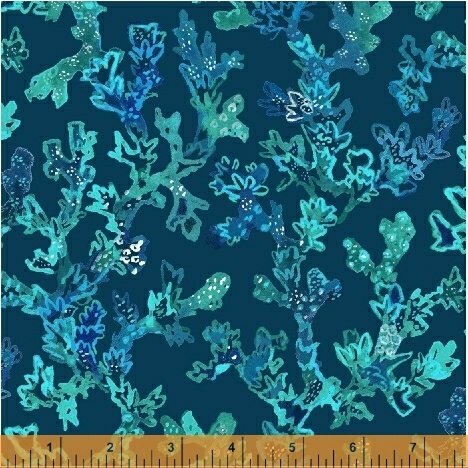 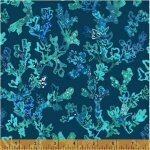 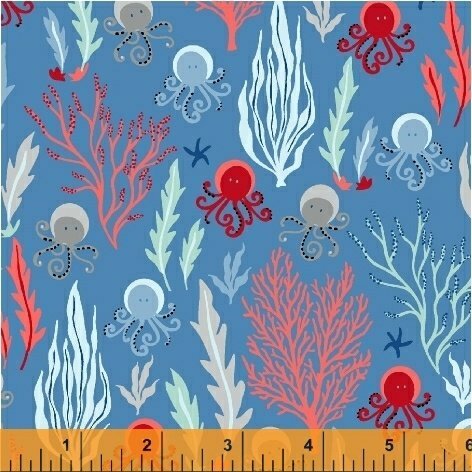 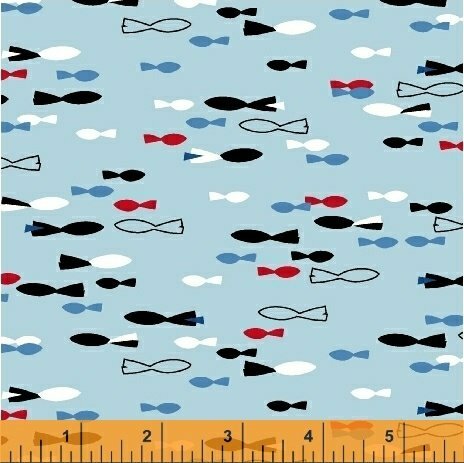 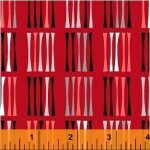 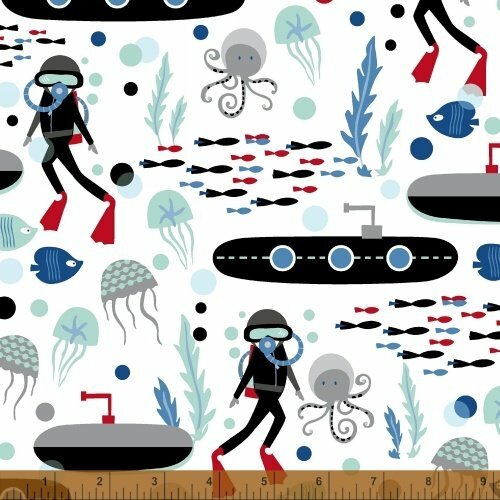 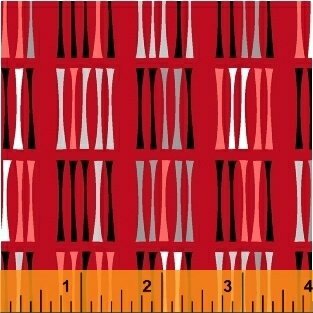 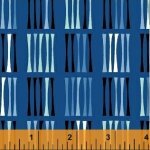 Deep-sea divers, submarines and friendly jellyfish make these patterns great for playful quilts and pillowcases. 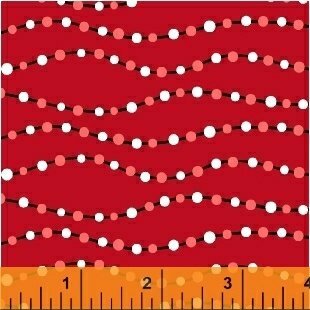 As well, use the supporting blue, red and black lines and bauble prints as bright accent fabrics.